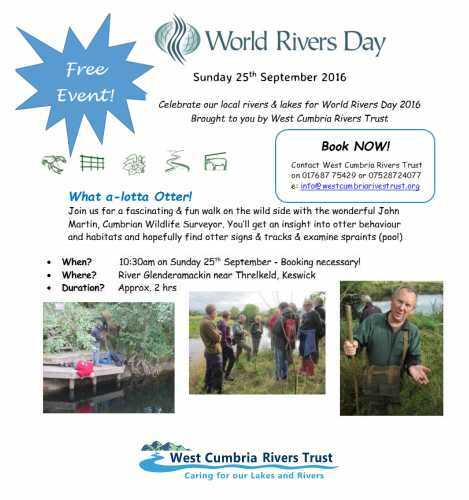 Join West Cumbria Rivers Trust and wonderful Wildlife surveyor John Martin for a fascinating and fun walk on the River Glenderamackin. You’ll get an insight into otter behaviour and habitat and search for otter signs; prints, poo or possibly the real thing! When? 10:30am on Sunday 25th September - Booking necessary!